Translation: Akari Otomo. His restaurant has long been favoured among the food connoisseurs and creatives from all over the world. My name is Jakob Mielcke Hansen. I’m a chef and I run the kitchen at Restaurant Mielcke & Hurtigkarl. 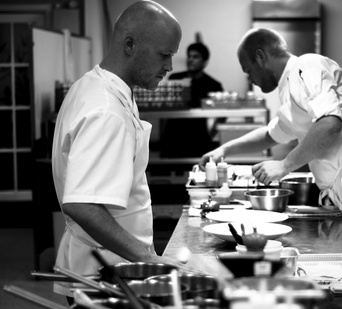 What do you think about Copenhagen’s dining scene? How do you spend in your free time? I have been doing a lot of TV lately, while also publishing a cookbook and that together with the restaurant means to many hours spent indoors – so I try to get out of the city as much as possible. I go hunting in Sweden when I can or just go to the country side to get a different perspective. Please tell us your favorite places in Copenhagen. I really like Relæ – they are inventive, they go their own way and create some really inspiring dishes…. Geist is another place I like to come back to. But, again something simple like a great coffee and a freshly baked bun from the coffe place, Kaffebaren near my house is equally great!